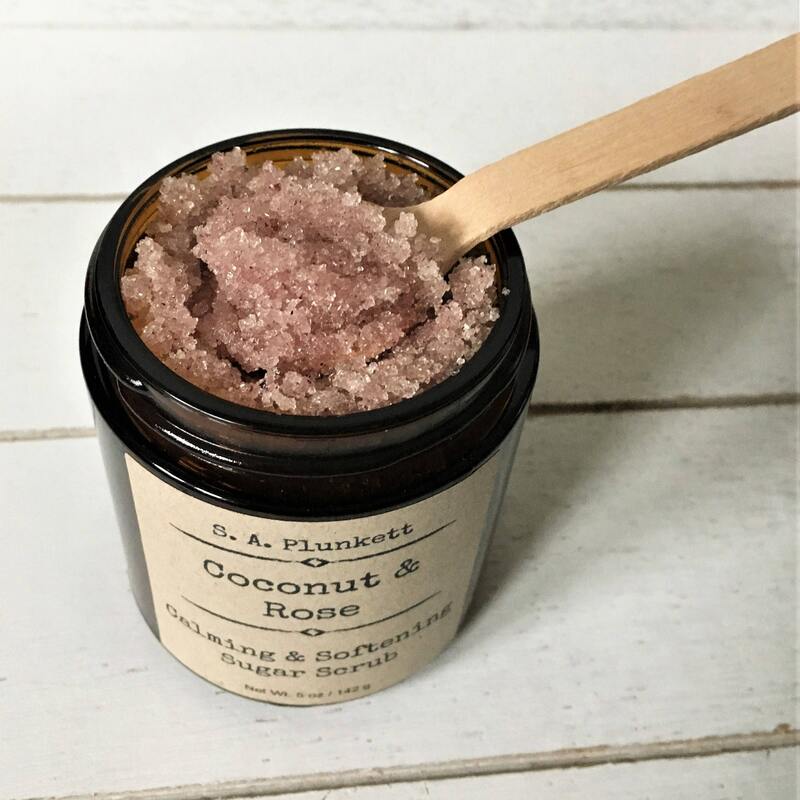 This luxurious, relaxing, refreshing, and moisturizing Coconut and Rose Sugar Scrub smooths and softens skin with organic sugar, fresh milled rose petals, and natural and organic plant based oils and botanicals. 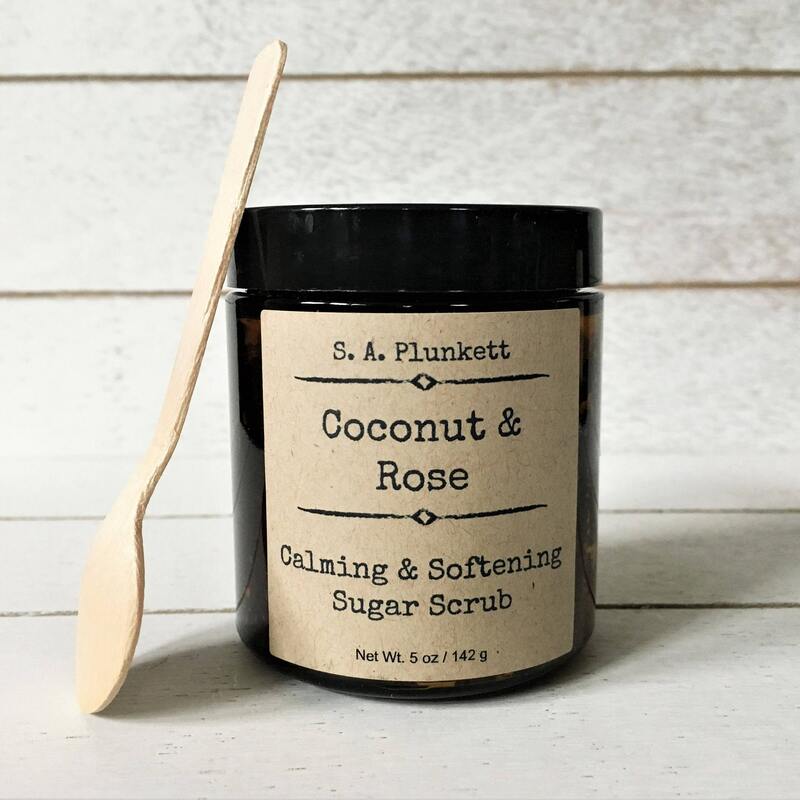 Let the soft fragrance of pure rose and coconut calm and uplift your senses in this all-natural, softening, rejuvenating, and replenishing benefits body scrub. Natural and organic oils in this luxurious body scrub moisturize and pamper your skin while fine grained, organic cane sugar granules exfoliate dead skin from the surface, leaving fresh, soft, and supple skin. 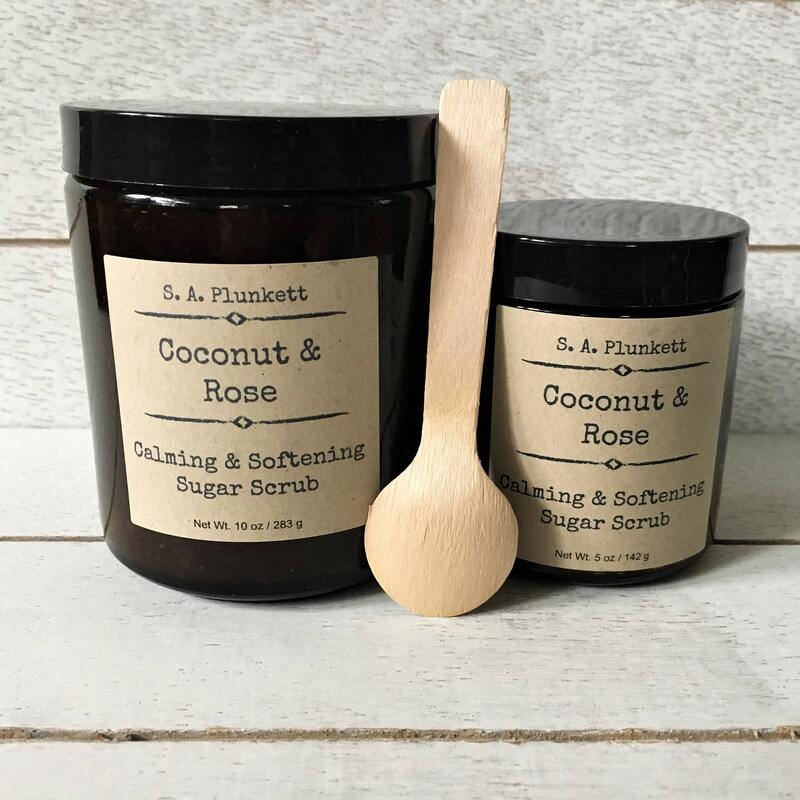 Great for your body and gentle enough for facial skin, this scrub is packaged in a glass amber jar and includes a wooden scoop to help preserve the freshness.